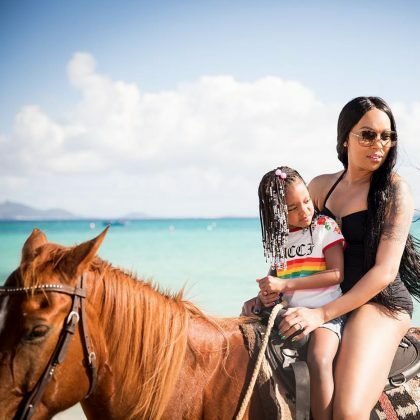 Monica and her daughter went horseback riding with friends while in Philipsburg, St. Maarten, Saint Martin in April 2018. 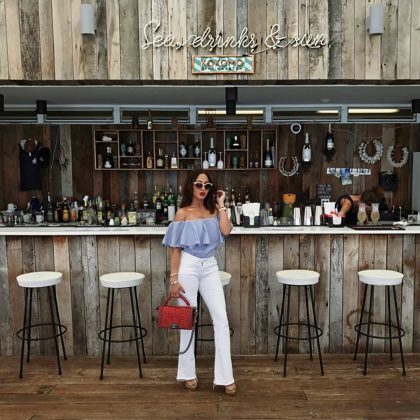 Adrienne Bailon﻿ went horseback riding with her husband at Seaside Nature Park in April 2017. 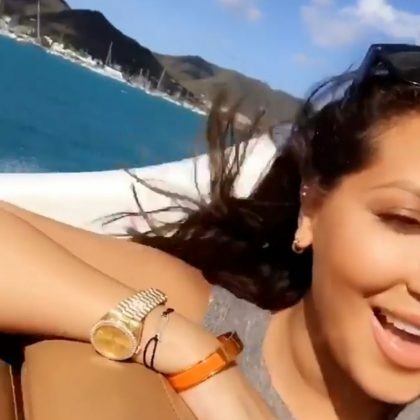 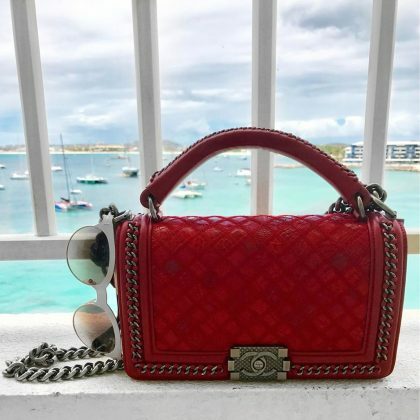 Adrienne Bailon﻿ had “w i n d i n m y e y e s” when she was on a boat off the waters of Saint Martin in April 2017. 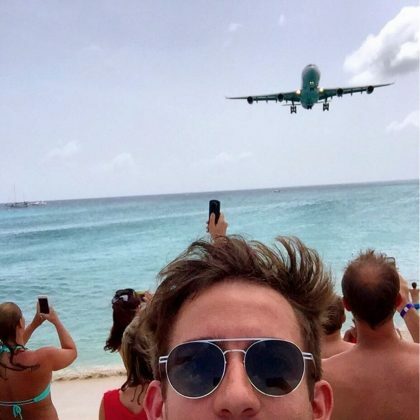 Kevin McHale﻿ framed a selfie of himself and “Planes n tings” when he hit up Maho Beach in June 2016.